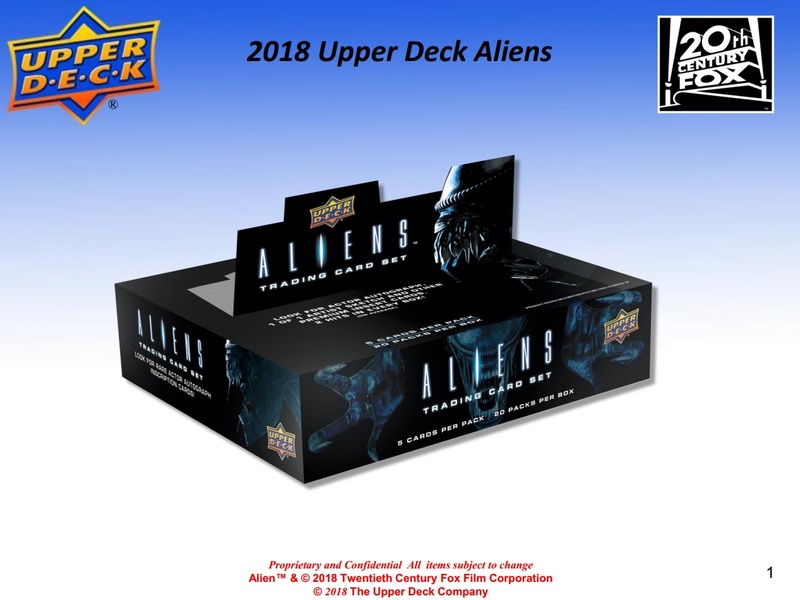 搶先看:2018 Upper Deck Aliens trading cards - 球員卡相關消息區 - 育盛球員卡(球星卡)及各類運動討論區 - Powered by Discuz! 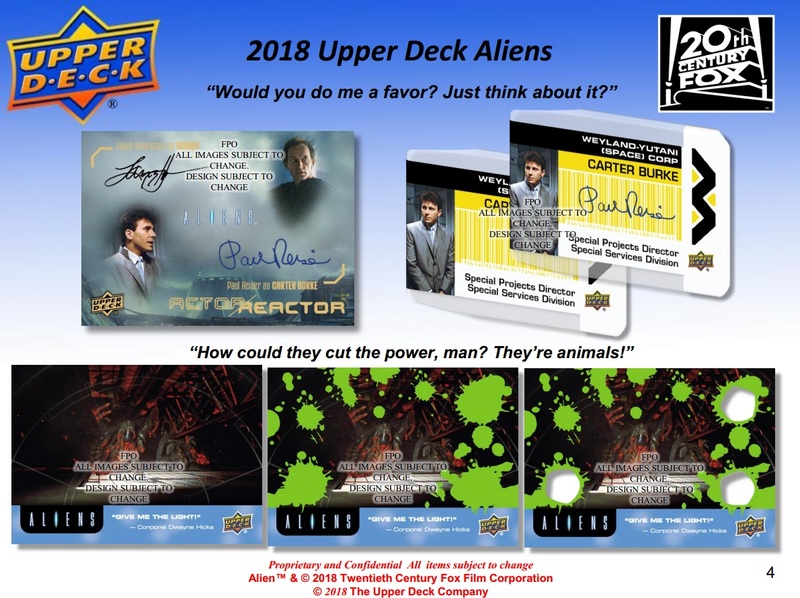 2018 Upper Deck Aliens trading cards see the card maker continuing through the classic saga. 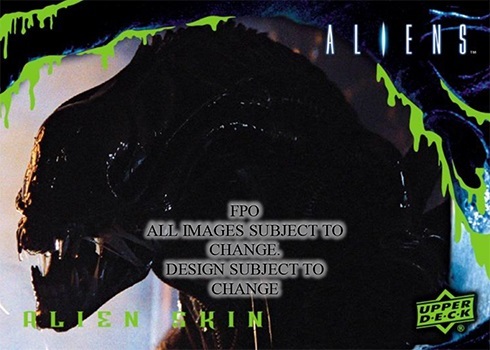 It started with the art-based 2016 Alien Anthology that covered all four of the original films. Then it was a singular delve into the first film in 2017 Upper Deck Alien. 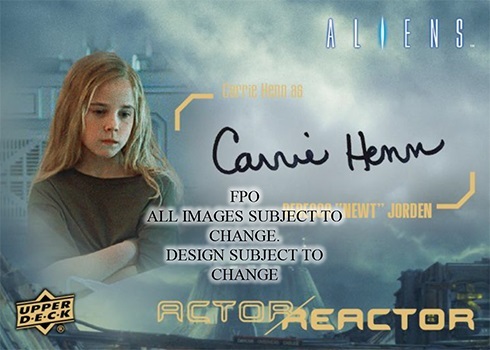 This marks the first standalone trading card set for the 1986 James Cameron sequel. It has been in multiple sets alongside other films in the franchise, but never on its own. 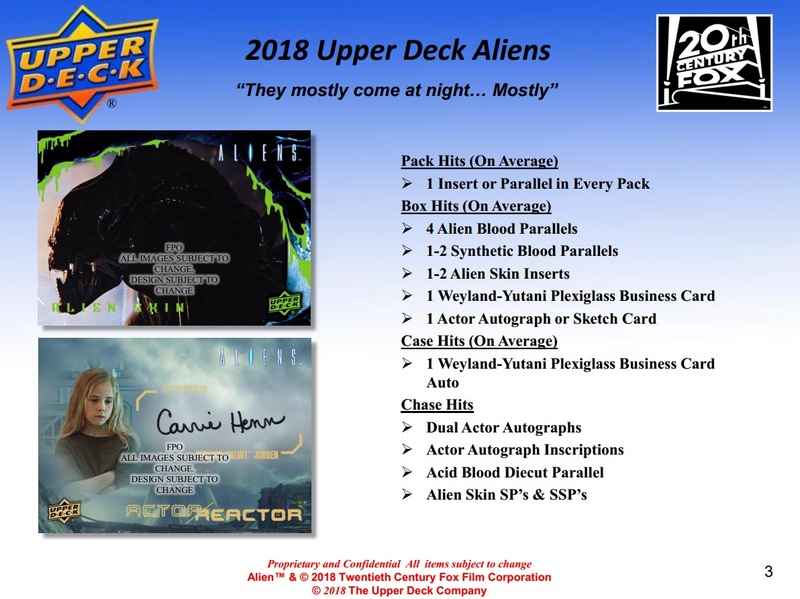 As one might expect, the 2018 Upper Deck Aliens base set recaps the story through the medium of trading cards. 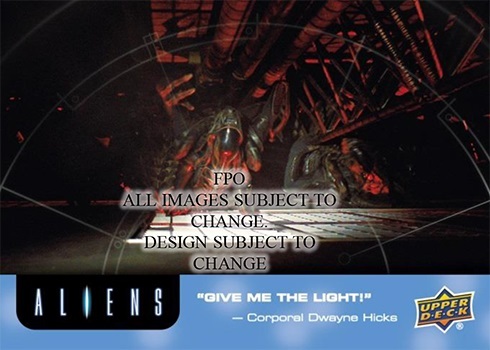 Parallels take a thematic approach appropriate to the movie. 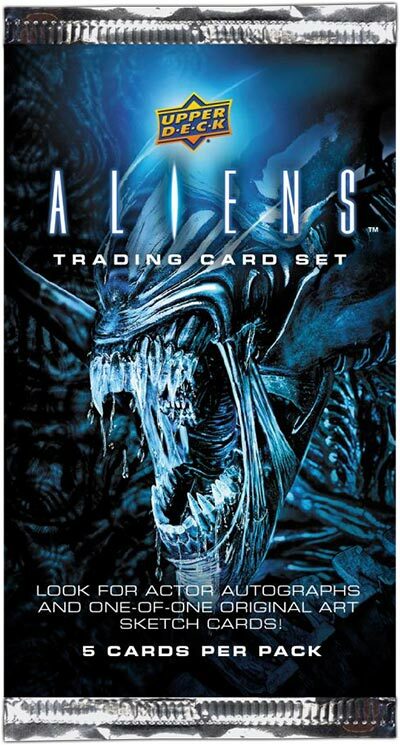 Alien Blood are the most common at approximately 1:5 packs while Synthetic Blood versions are one or two per box. Alien Acid Blood Die-Cut parallels, which come with holes in them mimicking the Xenomorph’s deadly biology. Autographs combine with Sketch Cards to land one per box. 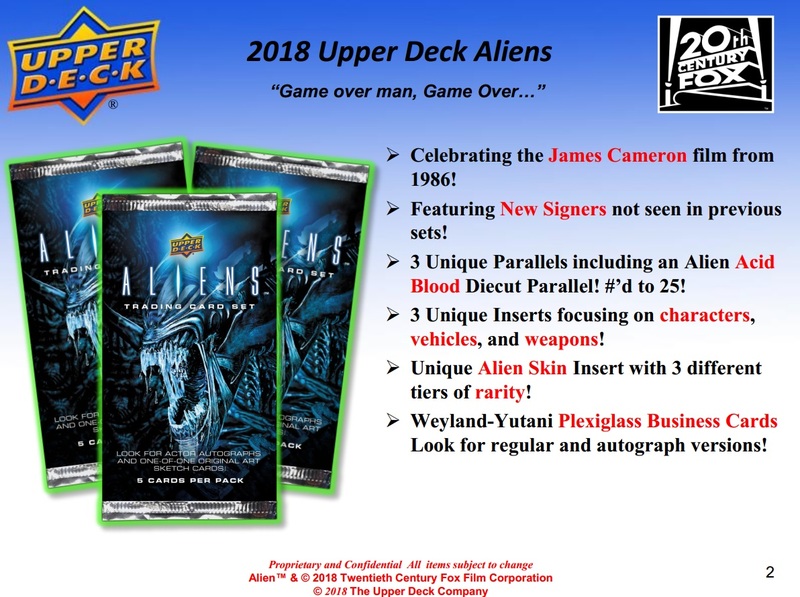 While a list of signers hasn’t been announced, according to Upper Deck, the checklist includes some who have not been in the previous two releases. 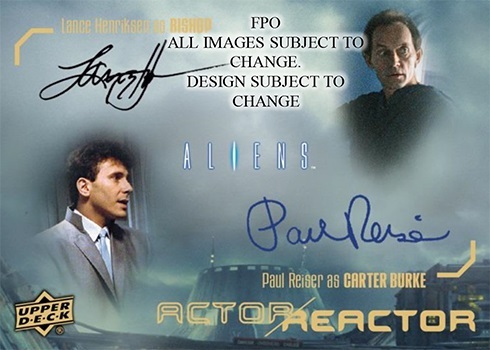 In addition to regular Actor Autographs, rarer versions come in the form of inscriptions and dual signature cards. 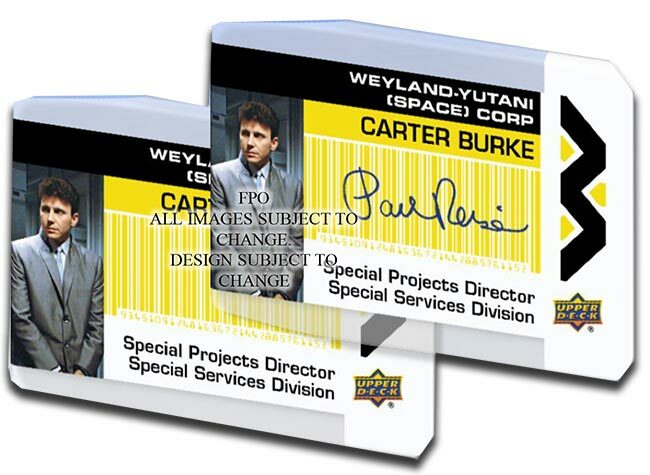 New to 2018 Upper Deck Aliens are Weyland-Yutani Plexiglass Business Cards. 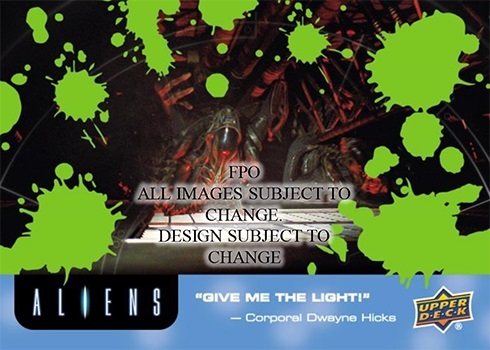 These offer a different sort of look at characters, similar to how the dog tag inserts in Alien Anthology. Autograph versions are a case hit. 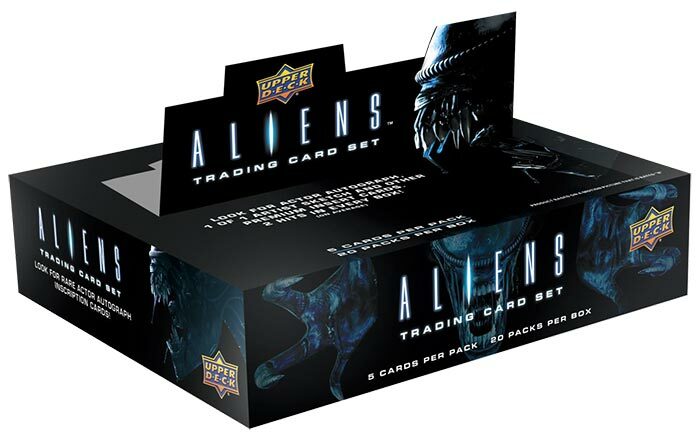 Alien Skin inserts, which are one or two per box, come in three tiers of rarity. This means some are short prints and others are even more scarce. 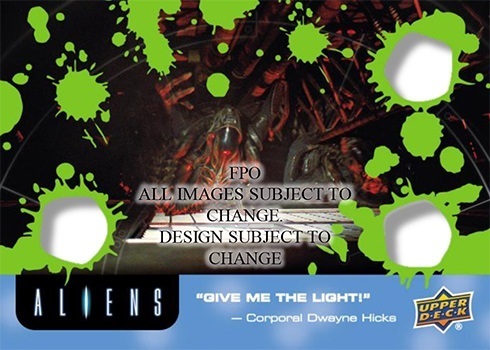 Basic insert themes cover characters, weapons and vehicles. Inserts and parallels combine to land one per pack.